The Fair City is definitely the place to be during the weekend of 8/9 August 2015 – Perth’s ‘Touch of Tartan’ Weekend! 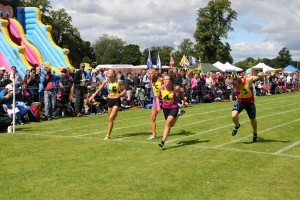 As well Perth Highland Games on Sunday the 9th, the weekend will be packed with fun activities – the Perth Kilt Run, kilt walks and ‘Touch of Tartan’ half marathon will all be taking place on Saturday the 8th. It all adds up to a fantastic weekend in the Fair City for local residents and visitors alike, whether you want to take part or just to support and enjoy the events. If you’re looking for somewhere to stay during your visit, you’ll find a list of available accommodation on the Visit Scotland website.